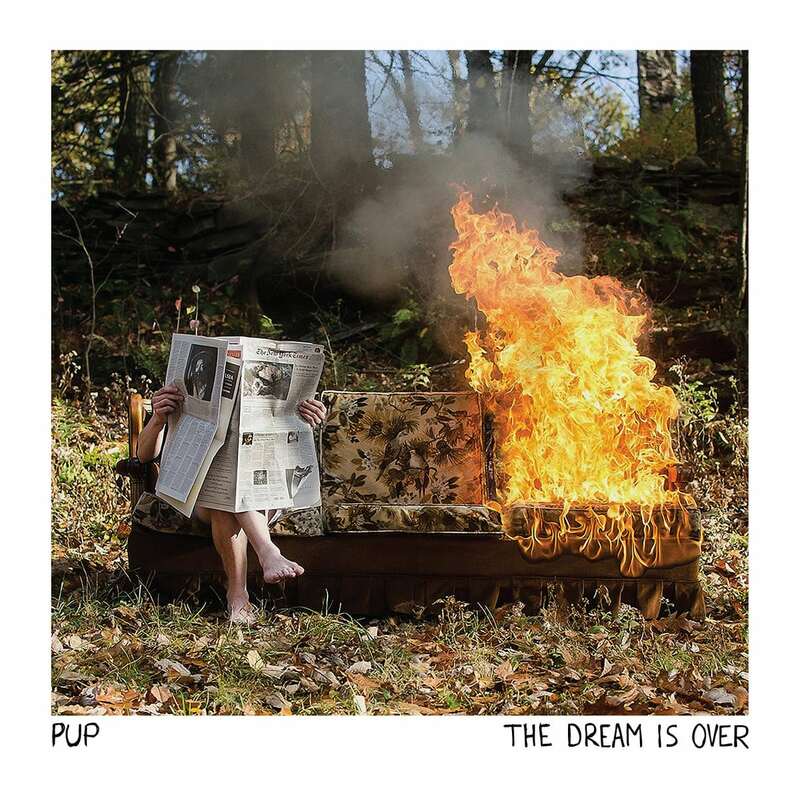 Listen to...PUP - For Your Reading Entertainment. I saw a very exciting tweet the other day. For those of you who are not in the know (and where have you been GOD) PUP are one of the best rock bands around right now. And it looks like they're starting work on recording a new record which is GREAT NEWS. The band currently have two records out, their self-titled debut and the awe-inspiring The Dream is Over. Hailing from Toronto Canada, the band have been snapping necks and cashing cheques since 2013 and seem to be a nice bunch of lads who make seriously good music. Why are they so good you ask? Well actions speak louder than words, so why don't we take a quick look at a live performance from the boys. And yes, it is an Audiotree performance because of course it is. As previously discussed Audiotree are brilliant. "They used to all talk down to me, and now they're biting their tongues. Used to say, 'Don't quit your day job', Well guess what, I never had one." Come on now. When I first heard that it just made me smile, what a great comeback to that terrible put down. I urge you to check these guys out and buy their stuff. Oh and lads if you read this, come UK. Nice one.